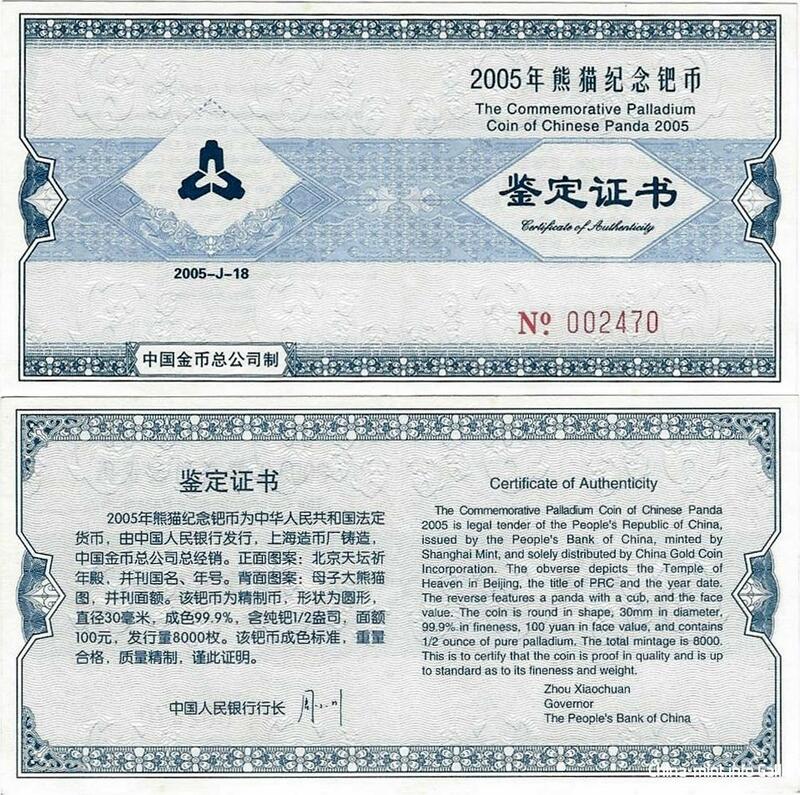 COA for 1/2 troy ounce of .999 Palladium 100 Yuan coin. I like this COA. Great design. High quality paper. Bilingual. I like it too. It is like a stock certificate or title. Engraving involves the printing arts as well as coin die making. The number is done very professionally here too.